Wixstars Casino is a popular online casino which was launched in December 2016. 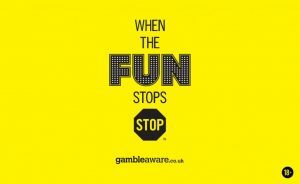 This casino is being regulated by both UK Gambling Commission and Malta Gaming Authority, which I believe we all know are two of the most wanted and trusted licences from the iGaming Industry. This online casino is dedicated to its community and it is focusing on offering the most exciting and long-lasting gaming experience! In order to do that, Wixstars Casino is providing its players with more than 400 slot machines and the most important thing is that the list of games from Casino Lobby is being constantly updated with all new games released by the most popular providers from the Industry. Another special thing we noticed on Wixstars is the design. The refreshing design of the website makes the difference between Wixstars and other casino brands, in our opinion. The background of the website has a dark blue colour, but the characters from popular slots which appear everywhere on the homepage make the interface seem more playful. 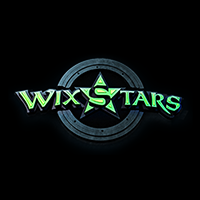 1st deposit: after you registered your account and deposited for the first time the minimum sum of €20, Wixstars is rewarding you with a 100% match bonus up to 200 EUR and 20 free spins. 2nd deposit: if you didn’t get enough of this amazing casino experience, you can replenish your gaming account with at least €20 and you will get 40 extra spins to have fun with. 3rd deposit: if you deposit for the third time the minimum amount of €20, you are rewarded with the other 40 free spins. But the experience at Wixstars doesn’t stop here. If you used your welcome package already, you can take advantage of another special promotion from this online casino. It’s about Monday Frenzy bonus. As the name suggests, this promotion is only available on Mondays and it consists of different amounts of free spins upon deposit. In other words, if you deposit €30 on a Monday, Wixstars Casino is rewarding you with 20 additional spins. If you deposit €100, you get the chance to play with 40 free spins and if you want even more extra spins to play with, you can replenish your player account with €200 and be rewarded with 60 free spins. The free spins earned with Monday Frenzy expire 24 hours after they were issued, if they are not used during those 24 hours and they can only be used on the following games: Starburst, Gonzo’s Quest, Red Riding Hood, Warlords or Twin Spin. You must always remember that every time you are using a certain bonus from an online casino, you need to wager 35 times the bonus amount in order to be able to cash out your winnings. You should also keep in mind that every game contributes differently to completing the wagering requirements, which is why we believe it is better to check the Bonus Policy and the Bonus Terms and Conditions. If you check the Casino Lobby section of this website, you will find more than 400 slot machines powered by some of the most popular and loved game providers from the Industry. If you are a slot lover, you definitely recognize these names: NetEnt, Play’N Go, Microgaming, NYX, QuickSpin, Blueprint and many others. Some of the most popular slot games available on the Casino Lobby are: Book of Dead, Gonzo’s Quest, Twin Spin, Moon Princess, Hotline, Butterfly Staxx, Jumanji, Fruity friends, Coins of Egypt. The list if being updated approximately on a weekly basis with the newest slots released by those talented and amazing game providers mentioned above. If you would rather test your abilities on table games, you can do that at Wixstars Casino as well. Even though there is a limited number of table games, at this online casino you can choose one of the available versions of Blackjack, Baccarat and Roulette. If you are looking for a live experience, you can check the Live Casino section of the website and play all types of table games mentioned with a live dealer thus having a more exciting gaming experience. The Live Casino Section of the website is powered by Evolution Gaming, which means that you will receive the best services from professional dealers. Moreover, you can access this amazing online casino using any mobile device you have at your disposal, since Wixstars has a mobile version available. And you can access the casino directly from your browser, without having to download any application. You can start your gaming adventure by making your first deposit at Wixstars Casino using one of the following deposit options: Ukash, Skrill, Skrill 1-Tap, VISA, MasterCard, entropay, Payr, Wire Transfer, paysafecard, iDeal, Direct Banking, giropay, Neteller, eps, clickandbuy, POLi, instadebit, UseMyFunds, Ticket Premium, Fast Bank Transfer, ECO, fundsend, Bancontact Mister Cash, Euteller, Trustly, Zimpler, SIRU, ecoPayz. After you had fun at this online casino and won mega-prizes, you can withdraw your winnings by choosing one of the following cashing out options: Skrill, Skrill 1-Tap, VISA, MasterCard, entropay, Wire Transfer, Neteller, clickandbuy, instadebit, ECO, Payr, ecoPayz. At this popular online casino, the support team is available daily, from 8 AM to 1AM CET, in four languages (English, German, Norwegian and Finnish). You can get in touch with the support teamon the following channels: Live Chat, Phone(+35622484960) and E-mail (contactus-ENG@wixstars.com). However, we suggest you check the Frequently Asked Questions section of the website before contacting the support team, since there is a big chance of finding the answer to your issue there. Overall, Wixstars Casino is all about making the best gaming experience for all players. The interface can be easily accessed and each player can find its desired slot very easy. You should check this online casino’s website and get ready to start your gaming adventure in the enticing world of slots, built and provided by Wixstars Casino.